Dr. Shawn Zardouz is a board certified neurologist and fellowship trained in pain medicine. He began his studies at The Johns Hopkins University where he graduated with a Bachelor of Arts in public health. He earned his medical degree from Wayne State University in Detroit, Michigan and graduated with a distinction in biomedical research. Dr. Zardouz completed his medicine internship at Loma Linda University Medical Center where he was named intern of the year. 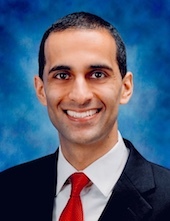 He then went to complete his neurology residency at University of California San Diego (UCSD) and stayed an additional year to complete his pain medicine fellowship at UCSD. Dr. Zardouz has been published in many peer reviewed journals and has presented his findings at several conferences at the national and international levels.